Elvis Lee Snellings, 78, Lake City, Tenn., died Tuesday, April 2, 2019. 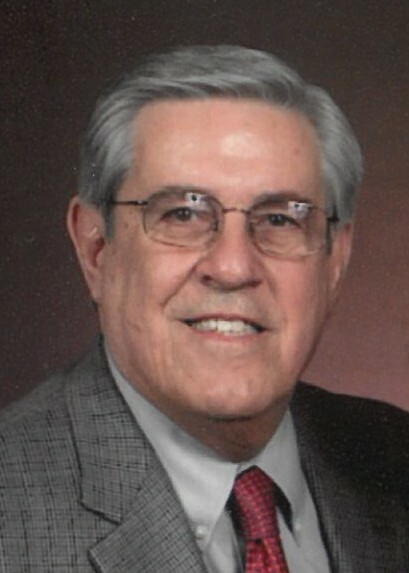 A retired banker and commercial Realtor, Elvis served as a deacon at Main Street Baptist Church in Lake City, where he had been a member for 50-plus years. He is preceded in death by his parents, Archie and Katherine Hickson Snellings; brother, Johnny Snellings; brothers-in-law, Roger Riggs and Phillip Smith. Elvis is survived by his wife of 53 years, Phyliss Snellings; sons, Brian and Alice Snellings, Oak Ridge, and Michael Snellings, Lake City; granddaughters, Kirsten and Josh Aslinger, Oliver Springs, Raichel Snellings and Bryson Bowling, Wartburg, Amanda Brown and Blake Cantrell, Oak Ridge; great-grandsons, Silas Jaxon and Charlie Witten Aslinger, and expected in July, Isaiah Gregory Bowling; brother, Melvin and Carolyn Snellings, Lake City; sisters, Brenda Riggs, Lake City, Michelle Cameron, Oliver Springs; sisters-in-law, Kathy Smith, Knoxville, and Donna Smith, Lake City. Receiving of friends will be 6 to 8 p.m. Friday, April, 5, at Main Street Baptist, followed by a Celebration of Life service with Rev. Wayne Phillips officiating. Church deacons will be honorary pallbearers. Burial will be at 11 a.m. Saturday, April 6, at Leach Cemetery, Lake City. In lieu of flowers, donations can be made to the Main Street Baptist Church, Building Fund, P.O. Box 405, Lake City, TN 37769.